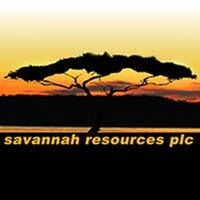 Savannah Resources plc (LON:SAV), the AIM quoted resource development company, announced today that it has raised approximately £11.5 million cash through the oversubscribed placing of 92,535,277 new ordinary shares of 1p each and commitments to subscribe for 35,811,979 Ordinary Shares at a placing price of 9p per Ordinary Share with both new and existing investors. The Company has also received a letter of intent from its major shareholder Al Marjan Limited for a further £1 million pursuant to the Relationship Agreement, giving gross proceeds of £12.5 million. finnCap and Whitman Howard acted as Joint Bookrunners in respect of the Placing. The Placing Shares and the Subscription Shares are being issued and allotted pursuant to authorities granted at the Company’s last Annual General Meeting. In aggregate, the Placing Shares and Subscription Shares represent 15.5% of the Company’s enlarged share capital. · Raised gross proceeds of £11.5 million cash at 9 pence per share. · Funds will predominantly be used to support the next stage of development for Savannah’s Mina do Barroso Lithium Project located in northern Portugal, providing funding to decision to mine. · There was strong institutional demand with several material tier 1 institutional investors participating in the Placing. · Following the positive results of the Scoping Study, as announced on 14 June 2018, the Company plans to commission a Feasibility Study over Mina Do Barroso with a view to reaching a decision to mine in early 2019. The net proceeds of the Fundraise will primarily be used be used to advance the Company’s Mina do Barroso mine development project in Portugal through a fast-paced development schedule, which is expected to lead to a decision to mine in early 2019. Additionally, the funds will be used to progress its projects in Mozambique and Oman, which are currently undergoing mining lease applications, and for working capital purposes generally. More specifically: Mina do Barroso expenditures will be concentrated on feasibility and associated studies – drilling both to expand the Mineral Resources and to define measured reserves, further metallurgical test work, the establishment of an owners’ team and general working capital. The Company, which is currently in a “closed period” that restricts Directors’ and applicable employees trading in the Company’s Ordinary Shares, has received a letter of intent in respect of subscribing on the same terms as the Subscription from a Director’s related party (the letter of intent has been issued pursuant to the previously announced Relationship Agreement between the Company and Al Marjan) once the Company has exited the “closed period”. Application will be made for 128,347,256 Placing Shares and Subscription Shares, which will rank pari passu with the existing Ordinary Shares, to be admitted to trading on AIM. It is expected that Admission will occur and dealings will commence at 8.00 a.m. on or around 11 July 2018. Following Admission, the total issued share capital of the Company will consist of 829,962,796 Ordinary Shares. This number may be used by shareholders as the denominator for the calculations by which they will determine if they are required to notify their interest in, or a change to their interest in, the Company under the FCA’s Disclosure and Transparency Rules.